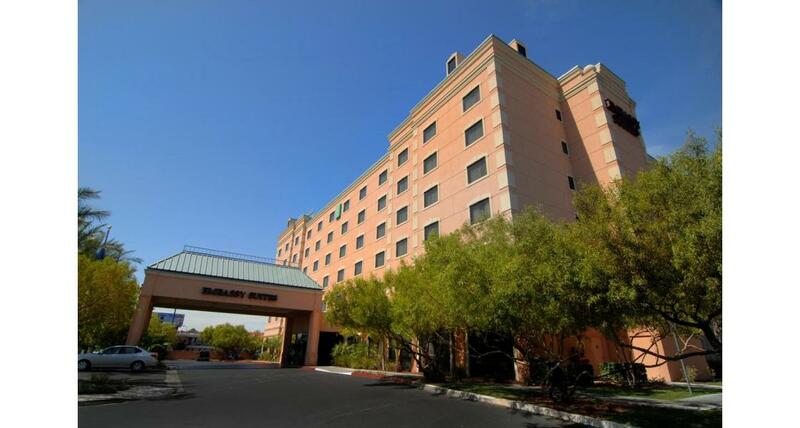 Embassy Suites Las Vegas is your home away from home. This all-suite hotel is designed for those who love the excitement of Las Vegas but prefer to enjoy it in a comfortable, non-gaming, smoke-free environment that implements the elements of water, green and light. 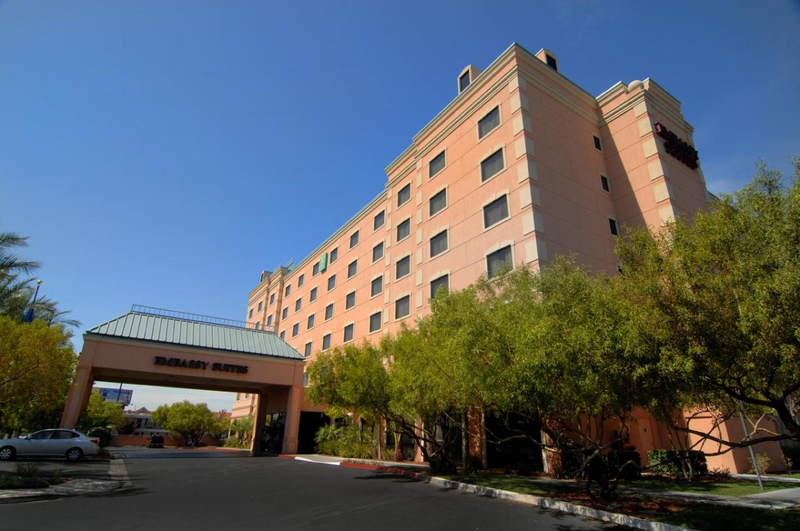 Within walking distance of Hard Rock Hotel and Casino, University of Nevada (UNLV) and the Thomas & Mack Center, this hotel is an ideal spot for business or leisure. A complimentary shuttle can drop you off at McCarran International Airport or the famous Las Vegas strip. In addition to the comfort of the Hilton Serenity Bed, Embassy Suites Las Vegas offers complimentary “cooked to order” breakfast and Manager’s Reception with complimentary beverages and appetizers. With 220 two-room suites, every suite includes a refrigerator, microwave, coffee maker, ergonomic desk, sofa bed and 2 flat screen HDTV’s. Enjoy a beverage poolside or the 24 hour Precor fitness center. The business center is available with 2 computers and printers, while the atrium and lobby provide complimentary internet service. Whether you are in Vegas for business or pleasure, Embassy Suites welcomes you.